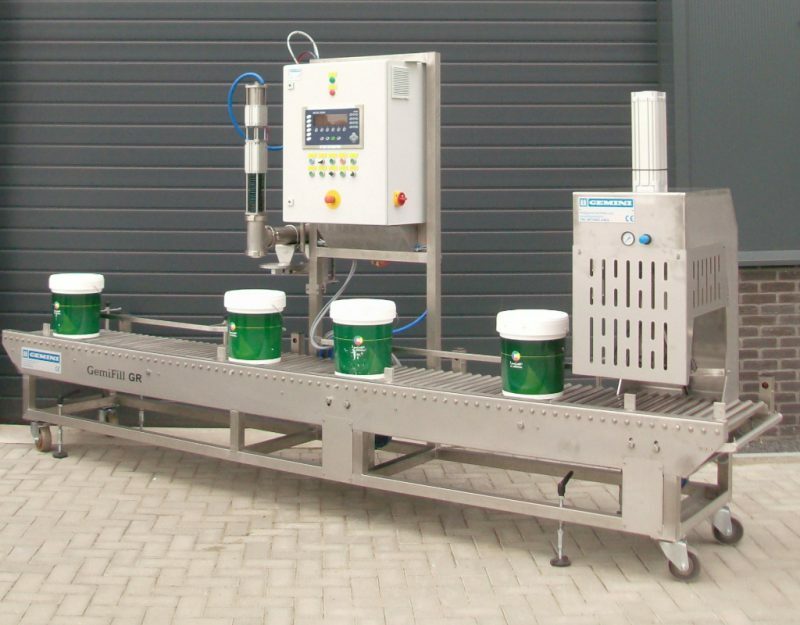 Filling directly from a tote tank, storage container, dissolver etc. 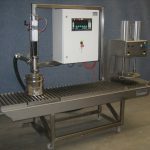 Height adjustable filling valve for different types of packaging. 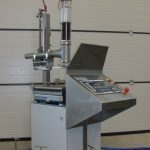 Filling by means of a pump (pneumatic/electric) or based on gravity. 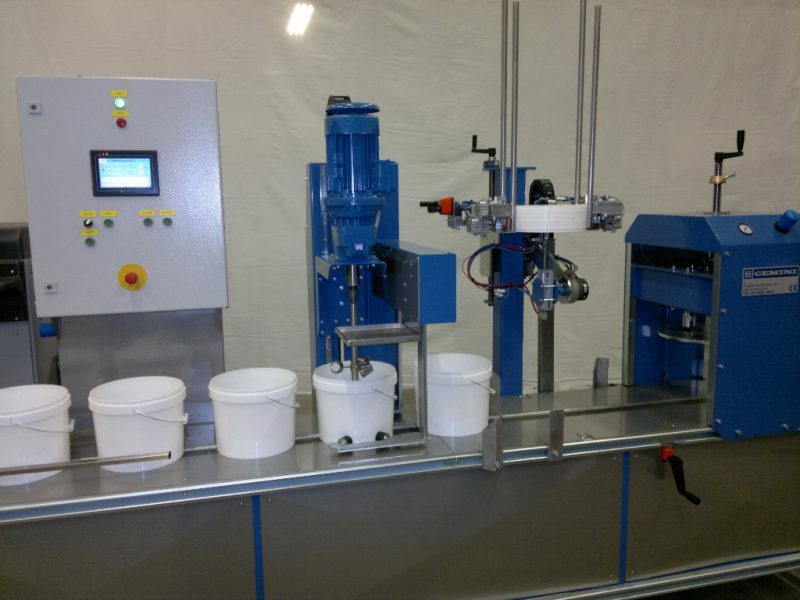 Easy to clean by means of an automatic rinse cycle and dismountable filling valve. 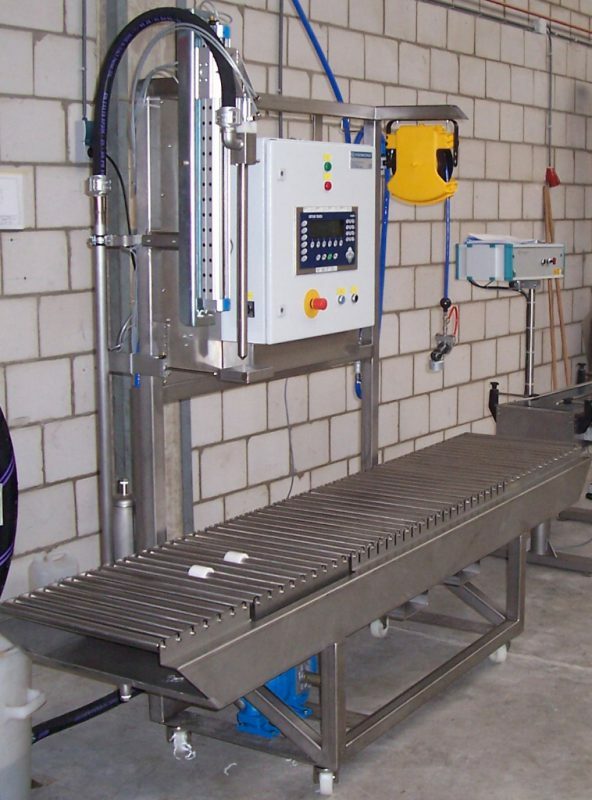 Simple to operate batch controller (with self-learning parameters). 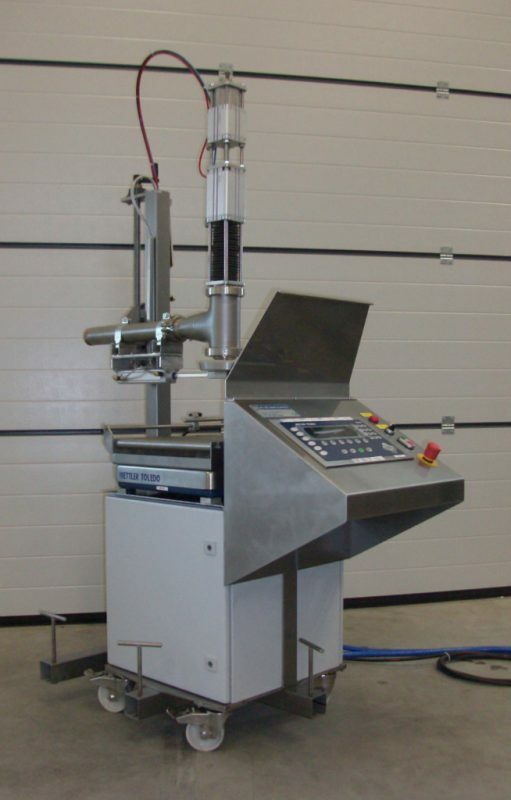 Easy to expand with a roller track, lid closer (pressing/crimping), screw cap closer, sub-level filling lance etc. 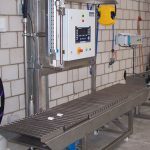 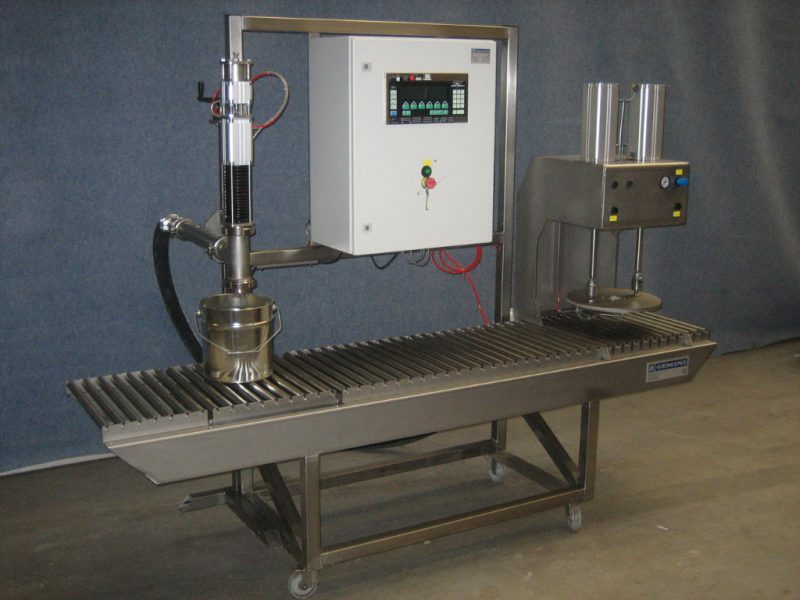 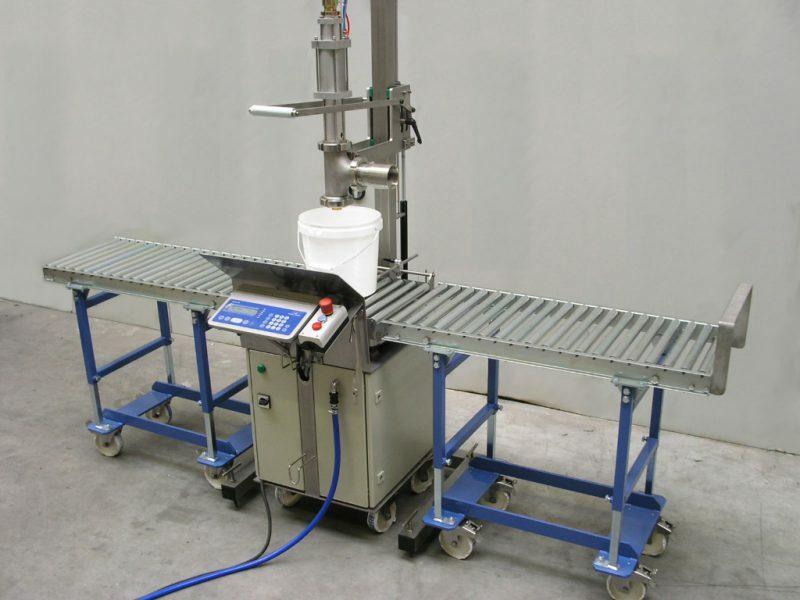 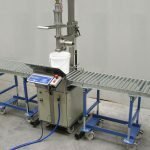 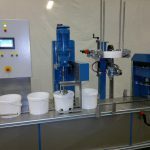 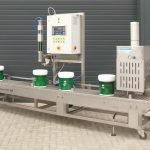 Upgradable to a fully automatic filling line by means of an infeed conveyor, conveying system, lid placing & lid closing.